Deal: Grab a 55-inch 4K Samsung Smart TV for $460 and get a 23.6-inch Asus monitor as a free gift! Newegg Flash has a killer deal for those of you looking to buy a 4K TV. A Samsung-branded 55-inch Smart TV in a refurbished condition can now be grabbed for as low as $460 at the web store. For comparison, Amazon is selling the same refurbished units for $600, meaning that this deal saves you a cool $140 or about 23%. However, the folks at Newegg have decided to throw in a free refurbished 23.6-inch Asus monitor (valued by them at $100) to further sweeten the pot. The 55-inch LED panel on this 2017 TV boasts a 4K resolution of 3840p x 2160p. 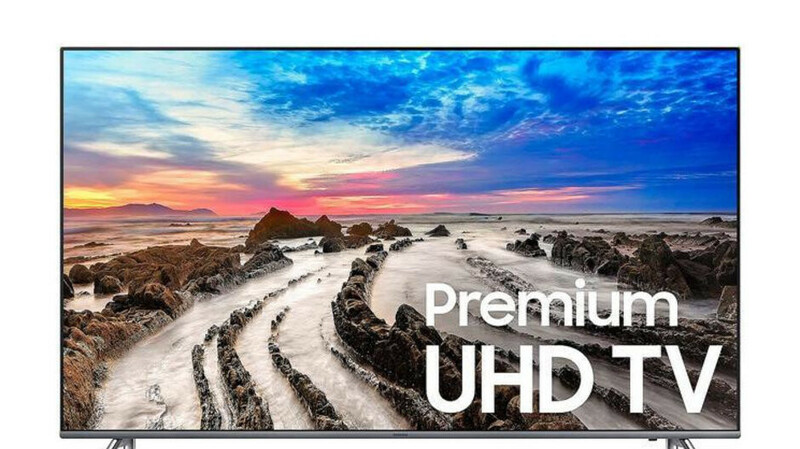 Other notable features include HDR 10, a design with slim bezels, a smart remote controller with voice navigation, and, of course, smart features like a full web browser, access to Samsung Smart Hub & apps, and so on. Meanwhile, the Asus monitor has FHD resolution of 1920 x 1080p, a 1 ms Response Time, and 70°/160° viewing angles. A 90-day warranty is also included on board for both products. If this deal interests you, feel free to follow the above link to Newegg Flash. The sale expires in 4 days and 13 hours from the time this article was posted. Refurbish is a no go.